The DJI Phantom 2 is not the newest member of the Phantom line of UAVs, but it still shines. 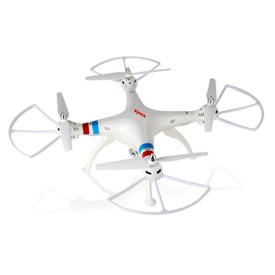 It comes in three different versions: Phantom 2, Phantom 2 Vision and Phantom 2 Vision + (Plus). The cameras available take excellent pictures and shoot high-quality HD video. 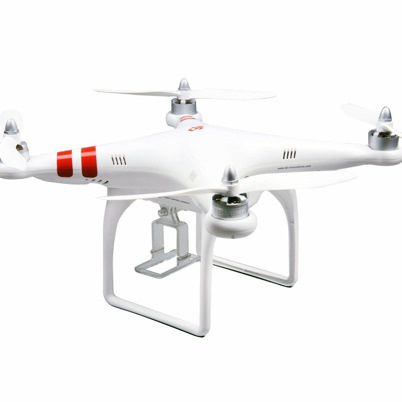 The DJI Phantom 2 drone has no trouble finding and connecting with 5 to 7 GPS satellites. The strong GPS connection keeps this multirotor very stable, even in wind. All of the models come with the return to home function. 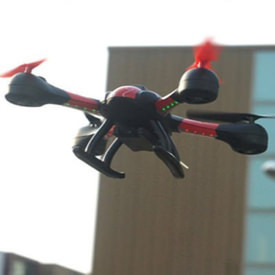 If your transmitter loses contact with your drone, it will return to the launch site. The basic Phantom 2 needs additional equipment to connect to your smart phone, but the Vision and Vision Plus have apps that give you tons of functionality. You must connect to a smart phone or tablet to use the first person view (FPV) feature and the other flight features available. 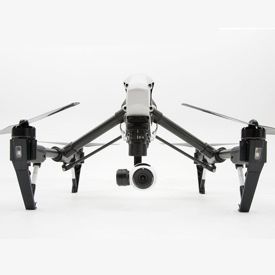 The DJI Phantom Series is probably the most well known UAV on the market. They are used all over the world by professionals for both photography and videos. 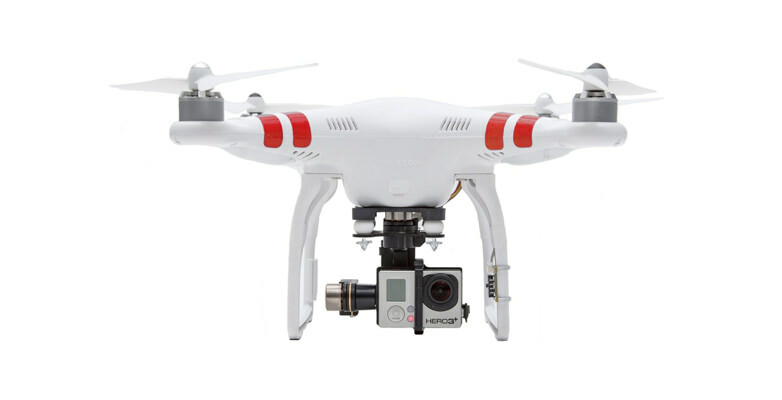 The DJI Phantom 2 has three versions available. 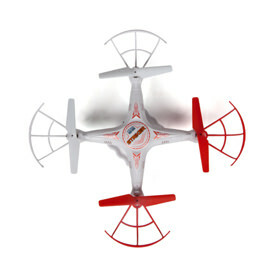 There is a basic, no frills quadcopter with no camera included. You can add a Zenmuse gimbal and a GoPro camera if you want photography. If you are looking for FPV (first person view) then you will need to add the DJI Lightbridge solution to your purchase. This will allow you to stream video to your smart phone or tablet. The next step up is the Phantom 2 Vision. This unit adds a rather cheap looking camera to the bottom of your UAV. Don’t let looks fool you though, this camera is quite good. It takes 14 megapixel still images and records video in 1080/30p or 1080/60i. 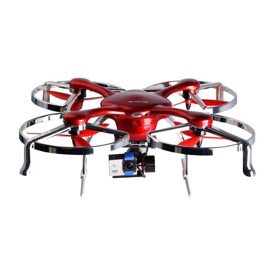 It attaches to the bottom of the drone with a low profile suspension kit to reduce shaking. The main drawback of this camera is its movement, it is one dimensional. You can only move the camera up and down with your app while in flight. If you want side to side, you’ll have to turn the quadcopter itself. 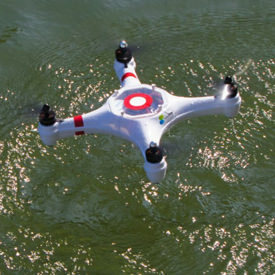 Finally there is the Phantom 2 Vision Plus (often seen as Vision+). This model has all the bells and whistles and a price tag to match. It comes standard with a 3-axis gimbal and camera. It comes with an extremely high quality camera and a removable 4GB micro SD card. The camera shoots full HD video at 1080p/30fps and 720p/60fps, with the option for slow motion shots. Still photos are shot at 14 megapixels. 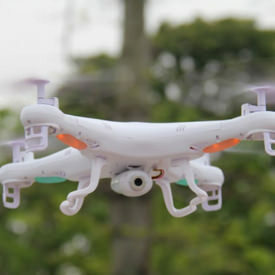 Both the Vision and Vision+ have an integrated mobile phone FPV (First Person View) system with a Wi-Fi wireless connection of up to a distance of 300m. They also include very handy ‘Real-Time’ telemetry data and flight parameters. This way you always know where your quad is and how much juice it’s got left. DJI claims that the Phantom 2 has a flight time of 25 minutes. I find it will only last somewhere around 20 minutes, which is still best in class! I recommend additional batteries, but keep in mind they are expensive. There have been many reports of issues once the battery gets down to 25% charge. So just bring it in and swap out the battery for one with a fresh charge. The batteries are really easy to change. The biggest drawback of the DJI Phantom 2 Vision+ is its gimbal. Functionally is great, but one good crash and you might find yourself with a bent piece of scrap metal. Fly with caution.